Themed "High Voltage Edition", though basically as payment of homage to the Volta Region, yet Faffa's "Say Yes To Life Tour" concert stop at Sogakope Senior High School ended remarked as truly fiery as she energetically performed up to the definition worth of her chosen theme --- it relatively was an excessively red hot gig her entire presence on stage, compared to previous stops. 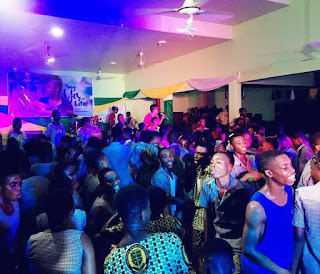 It was rather an unexpected mixed gathering of existing SOGASCO students, old students, school authorities, curious Sogakope Christians who are seemingly starved of classic urban gospel gig euphoria, leaders of different churches and a heavy count far and near neighbours living around SOGASCO. 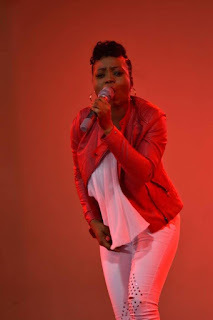 Of course, the mere word of mouth news of Faffa's coming and the compelling loud sweet melodies she emitted during the teaser freestyle singing segment at her two radio interviews on Adidome's Dela 105.7 fm drew people out to the gig mostly to come get their burning curiosity quenched. 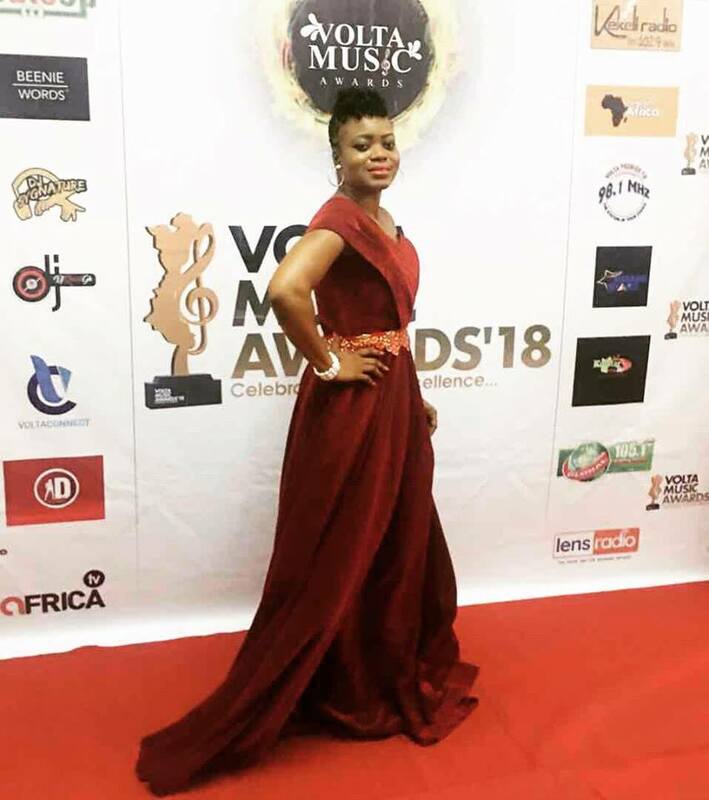 Earlier on on 10th March Faffa put up a massive talk-of the-town performance at the VMA (Volta Music Awards) night and her name had blown up through the entire Volta Region. This also attracted to her SOGASCO concert some of the VMA board officials and fans who were happily eager to have a repeat euphoric treat from Faffa at her popularly expected return to the region. Faffa preformed a long playlist of her songs infused with a couple of popular cover songs to her audience. At the points of doing her award winning track "Make Me Wanna", the VMA nominated tracks "Ewo Koe Nye Mawu" and "For My Good", the chemistry she has established between her and the audience surprisingly escalated. "Mevalo" and "Ewe Koe Nye Mawu" being of Ewe lyrics might have duly proven to the Voltarians that Faffa is their very own tribe sister --- singing in their mother tongue strengthened the instant bond they had built with her. Worth knowing: Faffa's "Say Yes To Life Tour" is purely a life advocacy project motivated by her survival over a compelling recurring suicide tendency she suffered in some years back. It would have been a tragic loss to the urban contemporary gospel fraternity, but her resilience to live on made her survival possible. In most of her social media broadcasts, Faffa sub-tags her main post with #HealingEverySoul as a constant self-reminder that life is precious in its form, regardless of whatever reality one is going through. To help sponsor or push Faffa's "Say Yes To Life Tour" project series to help her change the minds of those contemplating suicide and involve her in any or all suicide-related advocacies, CALL 0209066958. Two weeks prior to gigging at Sogakope Senior High School [Volta Region], Faffa played at Adisadel college [Central Region]. See the post-performance photo below.